Are you looking for a quick and affordable way to enhance the interior of your home? Tile is considered one of the most durable materials for floors and walls. It’s designer style and long life make it a good investment for any homeowner in Park City UT 84060. Tile offers clean, minimalist designs with options for wear, water and scratch resistance. With tile floors from SLC Flooring, you can add a new, durable surface to your home that perfectly matches your sense of style. From sleek and modern, we offer a wide variety of floor tiles that you will love. We are a full service flooring contractor in 84060 serving residential & commercial clients throughout the county. We are locally owned and operated and fully licensed. We offer the greatest quality tile flooring solutions. We always listen carefully to your issues and only provide honest and reasonable responses. We concentrate on supplying excellent workmanship utilizing only the finest products, to ensure our customers’ total satisfaction. Our tile floor experts care alot about building long-lasting relationships with our customers. SLC Flooring blends years of training with professionalism to make sure that the product you desire is the one that you get. We encourage that you check out all the services we offer and find out why we are the preferred option for tile flooring in Park City and bordering cities. Our main objective is to make sure our clients are happy. Our company believes in quality craftsmanship and will not compromise on the end product to increase profits. 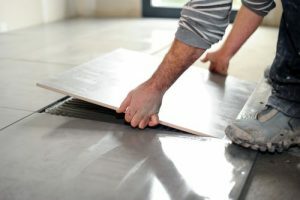 We have one of the best reputations in the area so you can be sure your job will get done the very first time properly. Call us now at 801-515-0047 for a free consultation. Park City is a city in Summit County, Utah with a total population of approximately 7,596. Park City, which uses the 435/801/385 area code, is located at 40.648452, -111.49896 at an elevation of 5,586 feet. There are over 2,901 households and on average there are 2.6 people in each household with a median age of 37.4. The average income in the area is $105,553 and the average home value is $871,600.